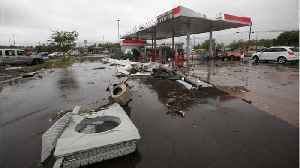 A second wave of tornadoes and thunderstorms to hit the U.S. South and Midwest this week turned deadly on Thursday with three people reported killed, as the storms pushed eastward on Friday, officials.. 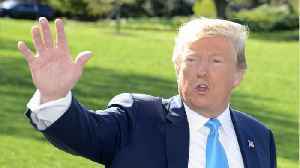 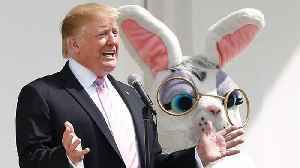 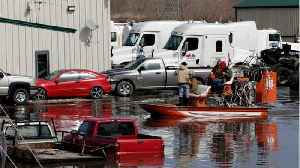 According to a report by Reuters, starting on Wednesday, forecasters said that tornadoes and thunderstorms are expected to hit the US South and Midwest for a second time this week before pushing.. 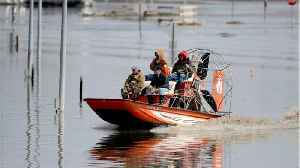 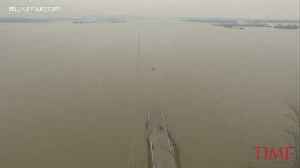 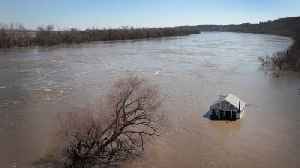 According to a report by Reuters, on Friday, frigid Missouri River floodwaters were expected to crest in northwestern Missouri, threatening more towns and cities after leaving a trail of ruins, death,.. 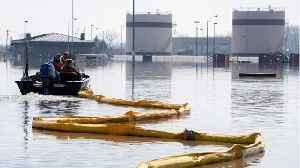 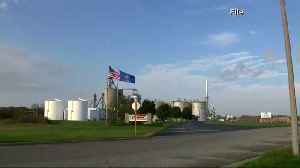 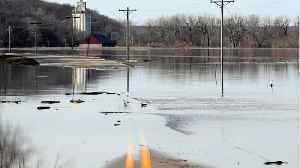 Massive flooding in the Midwest has knocked out roughly 13 percent of the nation's ethanol production capacity, as plants in Nebraska, Iowa and South Dakota have been forced to shut down or scale back..
As icy floodwaters fed by rains and melting snow receded in Nebraska and Iowa, leaving destroyed homes, drowned cattle and swamped farmland. 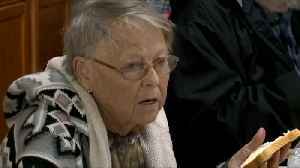 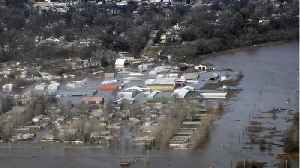 According to Reuters, Missouri’s governor declared a state of emergency due to flooding. 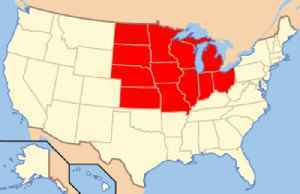 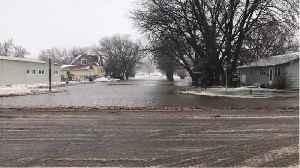 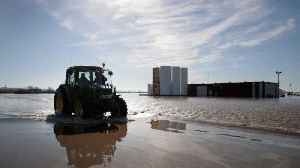 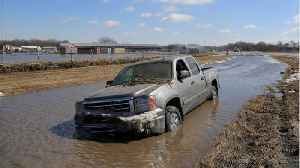 Floodwaters in the Midwest have inundated the soil across Nebraska and Iowa, surging down stream into..
Reuters reports scientists said Thursday that climate change was a leading cause of the deadly floods in the U.S. upper Midwest. 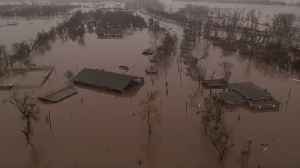 The “bomb cyclone” in Nebraska, Iowa and Missouri has killed at.. 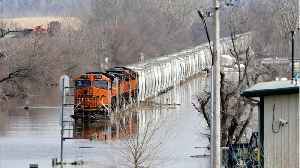 According to REuters, The flooding that devastated the U.S. Midwest is likely to last into next week, as rain and melted snow flow into Kansas, Missouri and Mississippi. 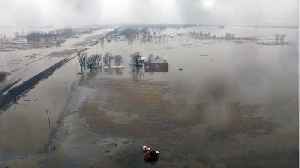 Floods driven by melting snow.. 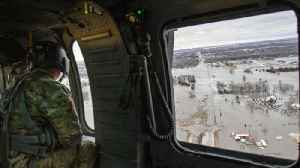 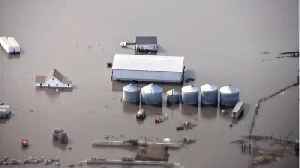 Devastating floods continuted to affect Nebraska and Iowa on Tuesday after leaving at least four people dead and causing hundreds of millions of dollars in damages. 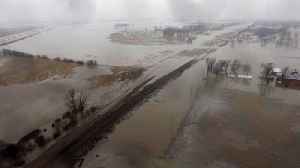 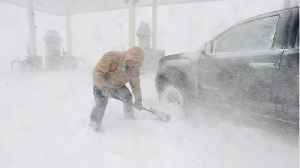 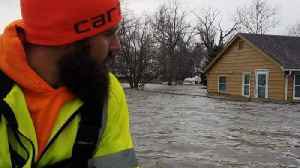 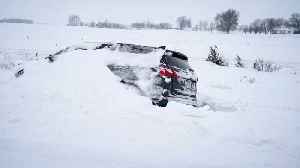 Reuters reports flooding stretched..
Last week, a major storm dumped historic amounts of snow and ice in the Midwest. 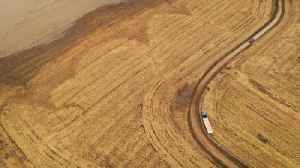 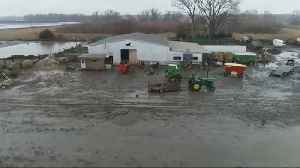 It comes as some farmers are still picking up the pieces from recent record flooding in the region. CBSN Originals’..